For some weeks now, in Malabo one can enjoy a new and original hotel with distinctive features: its modern design, cosmopolitan cuisine, and above all, its two exclusive suites with garage and pool make for a truly special stay. 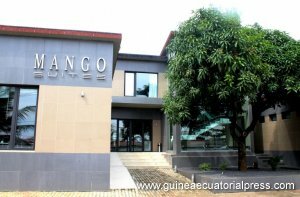 Mango Suites is the name of this new establishment recently opened in Malabo, located in one of the main areas of the Paraiso neighborhood. First, and from the entrance, one’s attention is attracted by the unique and modern architectural design, which is created by the architecture office Mustelier & Asociados. With a minimalist inspiration which, at the same time, stands out and integrates seamlessly into the city, the Mango Suites offers many other large and small distinctions, for example, its modern design, which includes a designer lounge and a glassed-in kitchen that allows one to see the cooking that goes on inside. Also, a cosmopolitan restaurant offers an international cuisine with a Mediterranean and Guinean approach, suitable for discerning palates, but with competitive prices. And finally, the most notable distinction is surely its two exclusive suites, each of which features a garage and private pool, two unique spaces for those guests who wish to spend an unforgettable evening, in complete privacy, but with total luxury. In addition, the guests of Mango Suites also have available ten deluxe rooms and three junior suites, with all the latest amenities: WiFi, minibar, television, satellite channels, safe, tropical rain shower, etc. 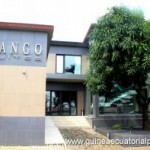 The hotel staff, working under international-Equatorial Guinean management, seeks, in addition, to offer personalized and professional service and assistance to travelers, tourists, businessmen, etc., staying there.